But will it be able to run Crisis? Oh, and will it have those oh so wonderful security exploits too? This better be using #Quantumcomputing. If you remove those exploits, it could be 5 10% slower. And for 500 millions, 10% slower is unacceptable. "Secretary of Energy Rick Perry, who attended yesterday’s announcement ceremony, said, "Achieving exascale is imperative, not only to better the scientific community, but also to better the lives of everyday Americans."" My guess is that they would use real computers instead. I remember in the late 60's, I had a summer job with NASA at the Stennis test center and I saw two large CDC computers that were linked together. There were all these blinking lights behind plexiglass windows and it was about 35 feet long. Looked amazing even if a desktop might be more powerful now. Looked amazing even if a desktop might be more powerful now. If? A half decent smartphone from the last 5 years demolishes what was the fastest computer in the world from the mid 1980's. 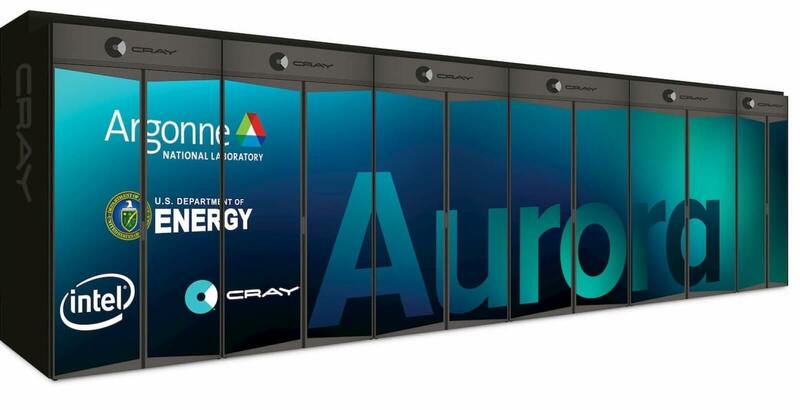 @midian182 Said: "Aurora and the next generation of exascale supercomputers will apply [high-performance computing] and AI technologies to areas such as cancer research, >>climate modeling<< and veterans' health treatments." You have to question the purpose of tasking a half billion dollar computer to "climate modeling", if nothing is going to be done about. The saying goes. "everybody talks about the weather, but nobody does anything about it". So now "Deep Thought" here, is going to think about the weather for a few months and say what, "our environment is going to hell in a hand basket"? Oh well, at least it will likely be more accurate than the groundhog..
Not only that, but science is a most foul invective in the current administration. I am surprised the project is moving forward at all and that everyone working on the project has not heard "You're Fired!" Then again, this administration is like a box of chocolates: You never know what you are going to get. Funny how they assign those computers to "Department of Energy" when everyone knows it will be used by NSA and CIA. What's the point in lying if everyone knows the truth?